Marie Condrey Koone, age 69, of Union Mills, died Wednesday, September 19, 2018, at Hospice House of the Carolina Foothills. She was a native of McDowell County and the daughter of the late Lee Condrey and the late Agnes Toney Condrey. She was a member of Mountain Creek Baptist Church. She worked the last three years of her career as a CNA and as a beautician for over thirty years prior. Marie was preceded in death by her twin brother Michael Condrey. She is survived by her husband: Chris Koone. The family will receive friends from 10:00 AM to 11:00 AM, Sunday, September 23, 2018 prior to the service at the church. The Funeral service will be at Mountain Creek Baptist Church at 11:00 AM, Sunday, September 23, 2018 with Reverend Charles McClure and Reverend Walker Toney officiating. Interment will be at Mountain Creek Baptist Church Cemetery. 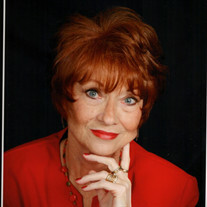 Online guest register available at www.mcmahansfuneralhome.com. McMahan's Funeral Home & Cremation Services in charge of arrangements.